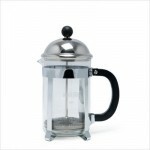 There are many different methods of brewing coffee from instant coffee in a cup to bulk brewing for large events. Depending on the method being used, the grind of the bean will differ. Coffee beans should not be ground until they are required, this will help keep the coffees strength and flavour. 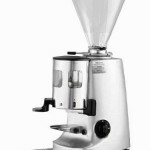 Coffee will lose the majority of its strength and flavour in the first twenty minutes after grinding. If ground coffee is purchased, this should come in pre-portioned bags that are vacuum sealed for freshness. The amount of coffee in each sealed bag will be determined by the amount of coffee an individual machine can brew. Buy the correct grind for the machine being used. 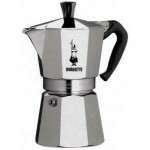 Instant coffee can be used to prepare a single cup of coffee or coffee in large quantities. It involves mixing soluble coffee solids with boiling water. This is one of the quickest forms of making coffee however many individuals question its quality. To prepare a coffee using this method place a spoon of instant coffee in a coffee cup, add boiling water and stir with a spoon. This method is often referred to a jug or plunger method of brewing coffee. It is simple and quick to produce and can be made to order. As it uses the infusion method it allows the coffee to keep its flavour and armoa. 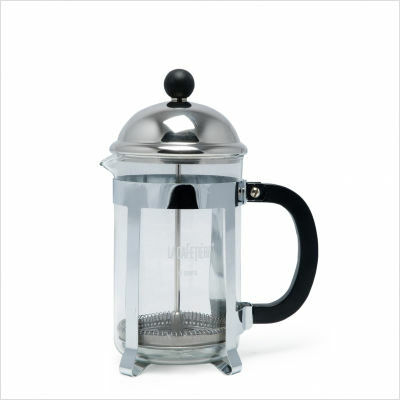 La Cafetière comes in the form of a glass jug with a lip that is held in a plastic or metal holder and sealed with a lid which also holds a plunger unit in position. This is a method used more often in homes rather than in commercial businesses. It was a popular method of making coffee in the1980’s. A set quantity of ground coffee is placed in the percolator which is filled with fresh cold water. On reaching boiling point the hot water is forced up a tub where it percolates the ground coffee extracting the flavour and strength of the coffee. 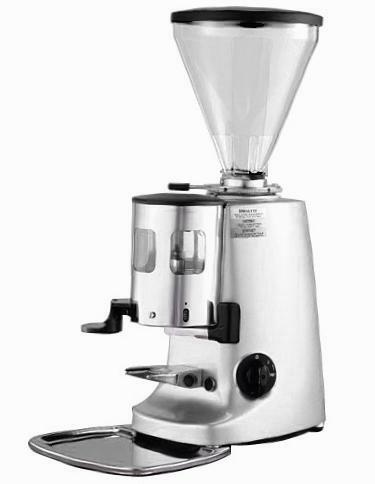 This type of machine is mainly used in the bulk production of coffee for events. It is important that these machines are kept clean at all times and serviced reguarly. They operate much like the pour over filter method but on a much larger scale. 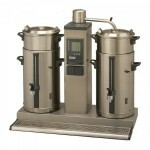 The urns that hold the brewed coffee often contain an element to keep the coffee hot. 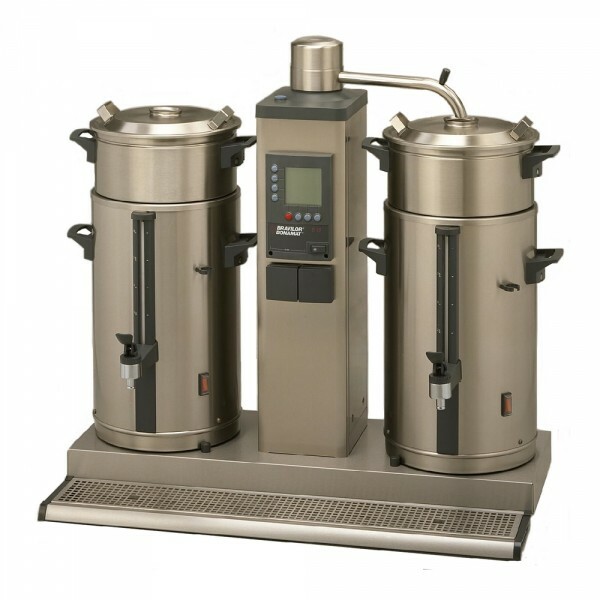 These machines will normally produce about 4.5 litres of coffee in one brewing session.